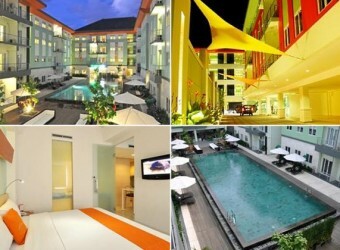 Bali Hotel Resort type economy hotel that Harris group develops. It is resort condominium fashionable externals, and has four pools in the equipment of the hotel, and the feature has been equipped fully with the restaurant, the kids club, the cafe, the spa, and the meeting room where it can enjoy an Italian cuisine. It is recommended for guests with small child.